Local artists show their work at Marken. Come and see some great pieces of local artwork! Daydreamer’s Floral Design teaches you and a guest the art of creating your own spring-inspired bouquet that you get to take home. Tickets cost $40 and include you and one guest. Reserve now with the button below or get your ticket straight from Marken at 210-728-6476. Light refreshments provided by Community National Bank. Come and share your musical talent on the Marken stage. Please submit a sample of your music here so we can check out what kind of music you make! Come shop at the indoor Marken Market! Items will be handmade, homemade, and more. Vendors to include quilters, crafters, woodworkers just to name a few! Want to be a Marken Market vendor? This Marken Market will be open to all types of vendors. Reserve your table today for $15. Limited space available. What's the Main Street Program & How Can It Revitalize Downtown? Susan Rios, Uvalde Main Street Manager, discusses the Texas Main Street Program & Economic Development through Historic Preservation. Come learn about the Main Street program, what it does, how it can help revitalize and grow our downtown, and what it can do for you. Presentation begins at 6:30 p.m. Let's make Devine, TX an even better place to live! Light refreshments provided by Security Bank. Come by and shop and enjoy some homemade and handmade goods! Learn how to hand letter with watercolors! Create your own Christmas card that you can frame or send to a friend in the mail. This class will focus on the basics - like brush strokes, blending colors, and lettering the alphabet. This class is for everyone - no prior experience needed! Grab a friend, and come have fun! Coffee will be served. You'll get entrance to the workshop and use of our supplies. Supplies provided for you to use during the class: watercolor brushes, watercolor pan set, dropper, pencil, paper, practice marker, Marken practice guides, and a completed project to take home. Stuck in a rut with your social media? Struggling with creating consistent, high quality imagery? Come ready to revitalize your online presence! In this you’ll learn the elements of an Instagram-worthy photo, tips and tricks for phone photography, best practices for sharing on social, and tools for taking your social media management to the next level. Our speaker, Maker Mama (Amy), has been a blogger and has been featured in Apartment Therapy, MAKE, Buzzfeed DIY, CRAFT, BlogHer, and PBS Crafts for Kids, and have partnered with numerous brands including Martha Stewart, KIA, Nintendo, Lego, HP, and Goodwill. When she is not busy working on all things digital, you can catch her walking her pup, hitting up local art museums and events with her four kids, or swing dancing to her favorite live jazz bands. Our OPEN HOUSE is your chance to tour Marken, see the collaborative workspace, check out the dedicated desk officespace, and peek into our music room and Marcus' recording studio. We are inviting area food trucks and musicians to load up on the FAMILY FUN. And before you leave, be sure to snap your PHOTO in front of the Marken color wall and use #devinecolorwall or tag us @markenmediaco. STEP BACK IN TIME TO THE 1800’S!! WE WILL HAVE RIFLES, GUNS KNIVES THAT WON THE WEST! 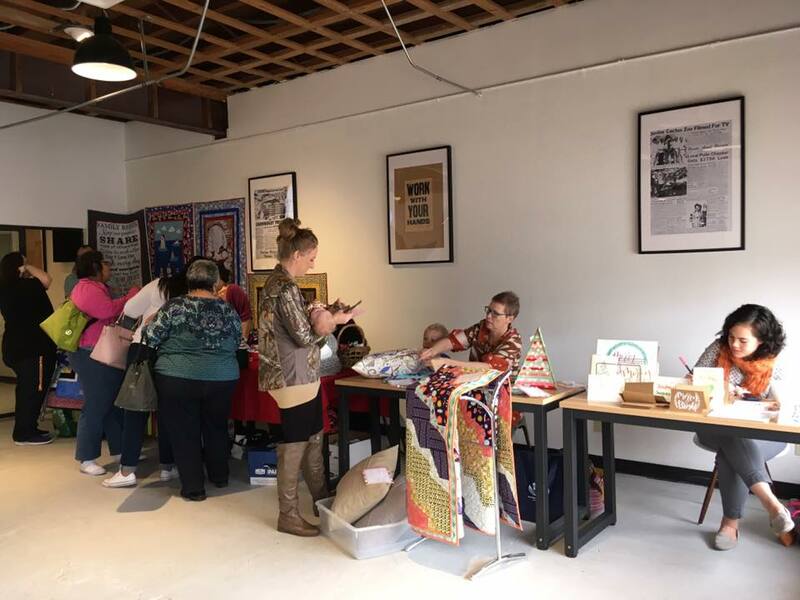 KNITTING, CORN SHELLING, DUTCH OVEN COOKING, LIPAN APACHE, BOBBIN LACE SPINNING, ROPE MAKING, 1860’S KITCHEN HANDMADE GIFTS, AND SO MUCH MORE!! STOP BY THE 5 LADIES MERCANTILE! SHOP OUR HANDMADE ITEMS, HAVE A SOUP BEANS AND CORN BREAD LUNCH & BUY BOOKS! 888 Barbershop will be giving away haircuts, hot dogs, chips and refreshments. *Children must be present to receive school supplies. Congress passed new tax laws which will affect all taxpayers. This FREE seminar will help you understand what the new laws mean for you, how your family and business will be affected, and what you can do about it. Lunch will be provided. Presentation begins at noon. Reservations are required. Visit https://2018taxchangeslytle.eventbrite.com. Hosted by James McElwee, CPA. The Chamber of Commerce of Lytle is asking area businesses to create boxes for our School Supply Drive. Please let us know you are participating and have items available at your place of business for collection. Monetary donations can be sent to Denise at Lytle State Bank. Deadline for school supplies is Friday, July 27, 2018. Thank you for your participation. Together, we can make this drive successful! They're bringing back the 5:05 networking social! Spend some time among your fellow business owners and CACC members for eats, drinks, and good conversation. First drink is complementary as well as chips and salsa, thanks to the amazing staff at Hillside Texas Bistro and the agents at New York Life! Contact Carlos Garcia, Katrina Murphy, and Jesse Carranco. The need for blood donations is critical this time of year. Contact Cindy Rodgers 210-357-0325 or visit southtexasblood.org.